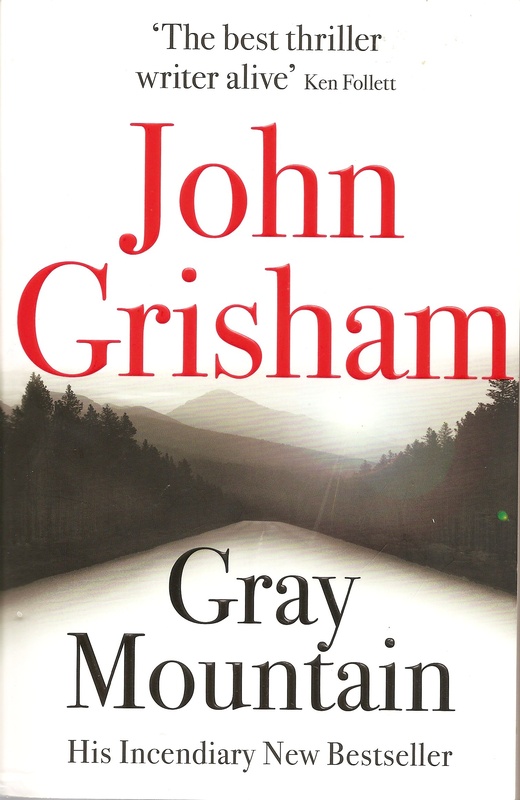 After I have read the Testament I would like to read Gray Mountain, also by John Grisham. It features a Lawyer named Samantha Kofer whose career at a huge Wall Street law firm is on the fast track—until the recession hits and she gets downsized, furloughed and escorted out of the building. Samantha, though, is one of the “lucky” associates. She’s offered an opportunity to work at a legal aid clinic for one year without pay, after which there would be a slim chance that she’d get her old job back. So within a matter of days Samantha finds herself moving from Manhattan to Brady, Virginia, population 2,200, a small town in the heart of Appalachia, which she has only read about. Here she meets Mattie Wyatt, lifelong Brady resident and head of the town’s legal aid clinic, who teaches her how to help real people with real problems and she also encounters a ruthless and fearless lawyer named Donovan Gray. Her new job takes Her into the murky and dangerous world of coal mining, where laws are often broken, rules are ignored, regulations are flouted, communities are divided, and the land itself is under attack from Big Coal and as, Samantha prepares a lawsuit for the first time in her career, she sees the inside of an actual courtroom, gets scolded by a judge, and receives threats from locals who aren’t so thrilled to have a big-city lawyer in town. Violence is always just around the corner, and within weeks Samantha finds herself engulfed in litigation that turns deadly and finds her own life in danger And she learns that Brady, like many small towns, harbours some big secrets. During the 1950’s McCaffrey had had two short stories published, The first (“Freedom of the Race”, about women impregnated by aliens) was written in 1952 when she was pregnant with her son Alec. It earned a $100 prize in Science-Fiction Plus. Her second story, “The Lady in the Tower”, was published in The Magazine of Fantasy and Science Fiction by editor Robert P. Mills and published again by editor Judith Merril for The Year’s Greatest Science Fiction.McCaffrey said “she thought of the story when wishing herself alone, like a lady in an ivory tower”.Judith Merril matched McCaffrey with her long-time literary agent Virginia Kidd (died 2003) and invited her to the Milford Writer’s Workshop (to which she returned many times), where participants each brought a story to be critiqued.After her first Milford workshop in 1959 she worked on “The Ship Who Sang”, the story which began the Brain & Brawn Ship series. At the story’s end, the spaceship Helva sings “Taps” for her human partner. she considered it her best story and her favorite. [“I put much of myself into it: myself and the troubles I had in accepting my father’s death and a troubled marriage.”McCaffrey then wrote two more “Ship” stories and began her first novel. Regarding her motivation for Restoree (1967), McCaffrey explained that it “served its purpose of an intelligent, survivor-type woman as the protagonist of an Science Fiction story”. The 1969 novel Decision at Doona opens on “an overcrowded planet where just talking too loud made you a social outcast”. As a settler on Doona, the boy talker has a priceless talent. 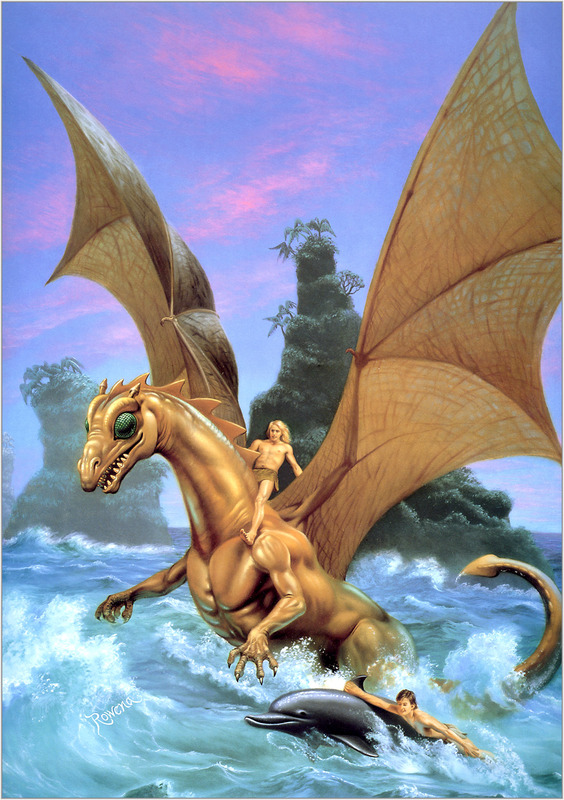 McCaffrey made a fast start in Ireland, completing for 1971 publication Dragonquest and two Gothic novels for Dell, The Mark of Merlin and The Ring of Fear. After writing The White Dragon her writing stalled. During the next few years the family moved several times in the Dublin area and struggled to make ends meet. During McCaffrey’s 46-year career as a writer, she became the first woman to win a Hugo Award for fiction and the first to win a Nebula Award. 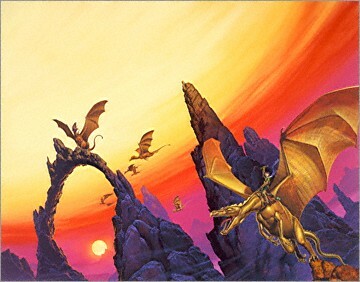 Her 1978 novel The White Dragon became one of the first science-fiction books to appear on the New York Times Best Seller list.In 2005 the Science Fiction and Fantasy Writers of America named McCaffrey its 22nd Grand Master, an annual award to living writers of fantasy and science fiction. She was inducted by the Science Fiction Hall of Fame on 17 June 2006. McCaffrey sadly passed away at age 85 on 21 November 2011 at her home in Ireland, following a stroke. World Hello Day is celebrated annually on November 21. The objective is to say hello to at least ten people on the day. The message is for world leaders to use communication rather than force to settle conflicts. World Hello Day was founded in 1973 by Brian McCormack, a Ph.D. graduate of Arizona State University, and Michael McCormack, a graduate of Harvard University, in response to the Yom Kippur War. World Hello Day has been observed by people in 180 countries. World Hello Day can be used as an instrument for preserving peace and as an occasion that makes it possible for anyone in the world to contribute to the process of creating peace. Among the supporters of World Hello Day are almost 100 authors, entertainers, and world leaders including Michael McCormack . McCormack has enjoyed writing and acting since a young age. He graduated Harvard University in 1974 and, during the fall of his senior year in 1973, he and his brother, Brian McCormack, started World Hello Day. Throughout his college years, McCormack was editor of the first-year literary magazine and a writer for the Lampoon, a semi-secret organization that publishes a humor magazine. Since the creation of World Hello Day, Michael J. McCormack has written several novels including, Gandhi’s Last Book and “The Quotations of Chairman Meow”, as well as plays like “Farewell Fillmore High”. After graduating from Harvard, McCormack moved to New York City. In 1999, Michael McCormack was accepted to the University of California at Los Angeles film school for directing and subsequently moved to LA from Nebraska to follow his directing aspirations. I am currently reading The Testament by John Grisham. It features an eccentric elderly billionaire namedTroy Phelan, who leaves one final will before leaping to his death. His six greedy and obnoxious relatives, who are all hoping to make millions from the settlement are all horrified when they find out that he has left his vast fortune to an illegitimate daughter, Rachel Lane instead. His lawyers are now tasked with protecting Troy’s wishes as well as finding the heiress. Nate O’Riley, a high-powered litigation lawyer and now recovering alcoholic, is sent to a remote area of the Pantanal in Brazil, where Rachel is believed to be living as a missionary. While Nate is trying to find Rachel, Troy’s family does everything in their power to contest the new will. They argue that although Troy was examined by three of the top psychiatrists in the nation, he was insane when he made the new will. The journey into the Pantanal of South America by way of Corumbá nearly kills Nate, but finally he and his guide locate the tribe with which Rachel Lane is living. She refuses the legacy or anything connected with it. So Nate returns to the United States after contracting dengue fever from a mosquito. Meanwhile, the ex-wives, children and respective lawyers continue attempting to destroy and disprove all evidence of Troy Phelan’s sanity and even the will itself. However they stop contesting the will in court, when they realize that their testimony will further hurt their case and discover that two witnesses for the plaintiff are lying anyway. To settle the matter, Nate agrees that the relatives of Troy Phelan will be paid $50 million each (minus lawyers’ fees) to stop turning the will contest into a legal quagmire. Nate then returns to the jungle in order to get Rachel to sign off on the settlement, however Rachel tragically dies from Malaria but makes financial provisions for the benefit of the Indigenous people and puts Nate in charge of the money.